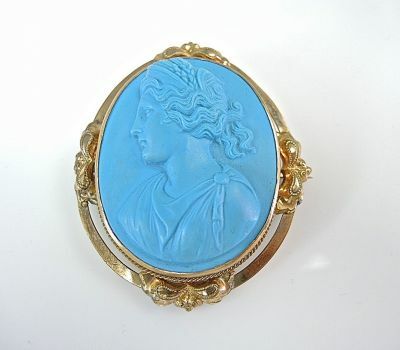 One gold-filled hardstone cameo, circa 1900. The cameo depicts the left profile of a lady wearing a head dress and toga. The cameo is set within a frame with double paisley leaf patterns on each side and the top and bottom.